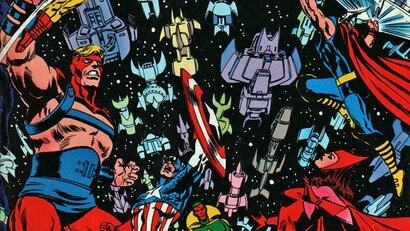 Pretty much since the original Avengers movie, Marvel movie fans have speculated that the cinematic universe could slowly build toward the most infamous interstellar skirmish of Marvel’s comic history: the Kree-Skrull War. 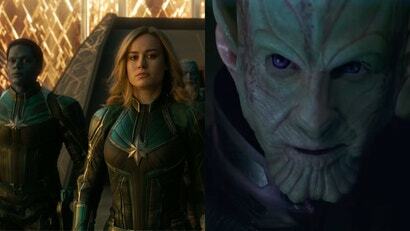 It’s taken a while, but Captain Marvel looks like it could finally be the film to do it—so here’s what you need to know. The Kree-Skrull War is actually technically two things—there’s the actual war itself, which spans millennia in the background that has had an impact on corners of the Marvel Universe beyond the realms Carol is concerned with, and then there’s the 1971 comics event of the same name, by Roy Thomas, Sal Buscema, Neal Adams, and John Buscema, that ran in the Avengers series and was one of Marvel’s earliest and most influential cosmic event sagas. That event will likely not be a direct inspiration for Captain Marvel’s story with the Kree and Skrulls, but we’ll explain that first before getting into the mythos that’s much more likely to form the basis for what the movie sets up. 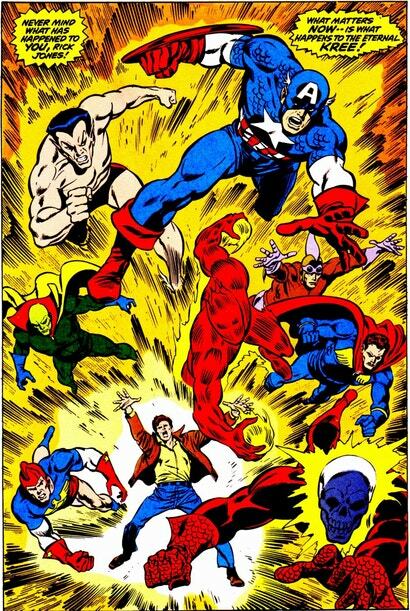 At the time, Mar-Vell had actually spent years trapped in the alternate dimension known as the Negative Zone, where he battled Annihilus, got doused with lethal radiation that threatened to kill him and...had a kid with a Skrull princess? He was busy, but really, that’s not what matters: Mar-Vell escapes, returns to Earth, and is promptly taken in by some of the Avengers. 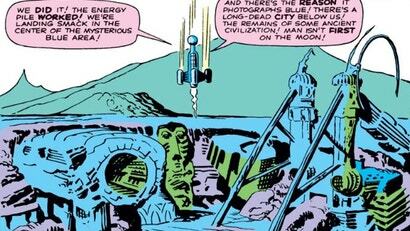 In the comics, the Kree and the Skrulls have been at each others’ throats for thousands upon thousands of years, ever since the Skrull Empire - a once peaceful spacefaring civilisation that explored the galaxy offering trade and technology to other worlds — first encountered the Kree homeworld of Hala. At the time, Hala was home to two species, the Kree and the Cotati - of similar technological and evolutionary levels, the races lived in relative harmony.